Cinemusic: Sons Of The Silent Age | Warped Factor - Words in the Key of Geek. Chris Morley looks back at the origins of the musical accompaniment for moving pictures. Lasting roughly from 1894-1929, the period found musicians, whether they be a pianist, theatre organist or even light orchestra, forced to improvise accompaniment to what was happening on screen. This went back as far even as the first recorded public film projection by the famed Lumiere brothers in Paris on 28th December 1895. Ten films shown at the city's Grand Cafe in something of a treat for early motion picture enthusiasts! It was Thomas Edison who would set a precedent the following year at the first such performance in the United States that all such future events should feature orchestral music, realising even this early on, that it would enhance the experience as well as providing a sort of cue for the audience- mood music, if you will? Perhaps as part of this it will come as no surprise to learn that at first all such embellishment was drawn from popular sources, be it the classical canon or works originally composed for the theatre. 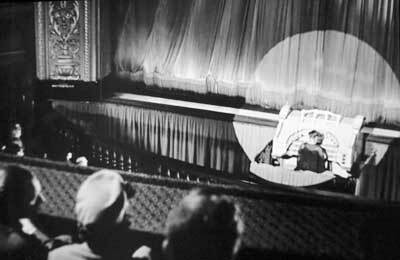 With a schism between big & smaller town cinemas exposed by the instruments & musicians at their disposal, the next big leap came with the invention of the theatre organ, which saved money on orchestras by eliminating the need to have one in the first place! Robert Hope Jones is the man to thank for that particular piece of cost-cutting, improving upon the original pipe organ as still seen & heard in churches today, by dint of implementing a greater range of sounds into the makeup of the organ - allowing it to double for an entire orchestra. Of course, the organ's history goes back further than that, as Church Music can attest, with a correlation between the size of the churches it served & the size of the instrument itself later mirrored in its use as entertainment. "The first pipe organs in churches started to appear around the year 800 and 100 years later old manuscripts mention the use of the pipe organ in worship services. As people built large cathedrals with relatively primitive tools, they also built pipe organs of significant size. The monastery of Winchester, England (980) built an organ (400 pipes) that could be played with two (!) monks at the same time, with their own console, but only when 70 monks (!) would work as wind makers. The music was apparently so loud that it could be heard in the entire city." Though few of Hope Jones' original builds survive, a 1901 partially restored model is still visible at what is now Battersea Arts Centre. 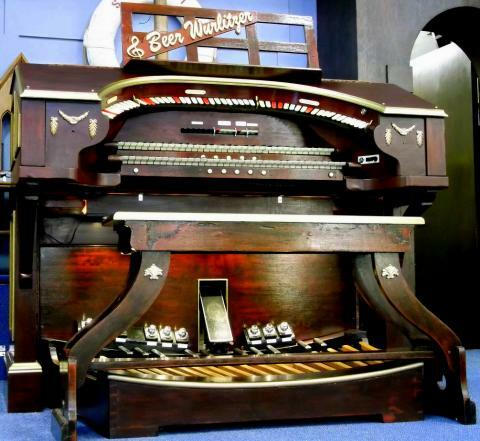 It would also be impossible to neglect the Wurlitzer, the first of which to be shipped to these shores arrived at Walsall's Picture House on January 26th 1925 having been dispatched on 1st December of the previous year. It can now be seen at Beer Congregational Church in Devon. East Sussex's Rye College is now home to the second, which arrived at Tottenham's Palace Cinema by 6th April '25. The Cinema Organ Society can tell us a little more! "Cinema-goers would often find the music of the Mighty Wurlitzer (or Compton or Christie) as exciting as the movie and the theatre organists themselves became stars. Radio and records brought the same thrilling sounds to the home and the music of the theatre organ became part of everyday life. Theatre organs are real pipe organs, but they’re much more versatile than church organs. Robert Hope-Jones, the organ builder who set the ball rolling at the turn of the century, called them ‘Unit Orchestras’, instruments that really can cope with everything from classics to big band. The rich, spine-tingling sound of a mighty theatre organ is something you’ll never forget. Only a handful of organs remain in cinemas in Britain. The rest have found their way into town halls, clubs, churches, schools, museums, places of commercial entertainments and private homes. But, wherever these theatre organs are to be found, there’s wonderful music to be heard." 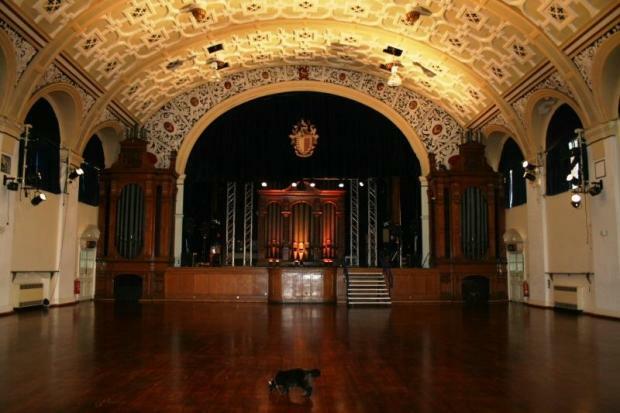 Some venues still house & use these oddly alluring deviations from the church organ blueprint - see http://cinema-organs.org.uk/information/venues/ for a comprehensive list. The Wurlitzer company was established in America by German emigrant Rudolph, initially as an import operation specialising in strings, woodwind & brass. It later became synonymous with its organs to the extent that in Hungary, its name is still taken to mean "jukebox" by the local populace. And it still has a home on British radio today. Nigel Ogden's The Organist Entertains has been a fixture on BBC Radio 2 since 1969, though its current presenter took over eleven years after its inception. Its use as improvisational tool within cinema had mostly come to an end by around 1915, DW Griffith's The Birth Of A Nation widely credited as the first picture to arrive in cinemas with a mostly original score courtesy of composer Joseph Carl Breil. While it did indeed change things, Breil was not actually the first man to complete an original commission for film. That honour had gone to Camille Saint-Saens for his work on 1908's The Assassination Of The Duke Of Guise. No doubt well known to classical enthusiasts, Saint-Saens is one of the best known composers of the Romantic period. Before he was even three years old he was said to have perfect pitch & not inconsiderable skill at the piano, his first public performance coming when he was only just into double figures in age, presumably by means of just showing off before the coup de grace of a symphony at sixteen. He would accept a post as church organist at Saint- Merri, playing a model which was badly damaged by the ravages of the French Revolution, built by well known manufacturer Francois-Henri Clicquot. Having dabbled in film he would later build his score into what became Opus 128. Next for us, though, is a leap a little further forward in time to 1927, & the film that changed everything about the sound of cinema!